Kaizen Print and Marketing (kaizenprint.co.uk) are one of Belfast's leading digital, litho and large format printing companies. Based in Belfast, Northern Ireland the company services the whole of the UK & Ireland with high quality print, design and marketing materials for small and medium sized businesses. Utilising the very latest print technology, we have established a reputation of the highest standards of print reproduction without costing the earth. Our design and marketing teams bring together not only a wealth of creative knowledge but also the skills to bring your ideas to life. As an online print company we at kaizenprint.co.uk offer a super fast efficient and cost effective printing service. Our products include flyers, leaflets, folded leaflets, postcards, folders, business cards and corporate stationery, pvc and mesh banners, roller banners and vinyl stickers. 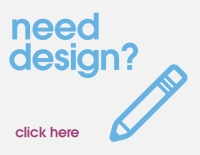 We have a ten of 4 designers and marketers who can translate your idea into a well laid out marketing schedule, suitable for increasing sales, retaining customers or exploring new business opportunities. At kaizenprint.co.uk our customer service team are unrivalled in finding you the right product or indeed helping you with a pre-press question. If you're new to buying print, we can walk you through every step. Just ask! Based in Belfast, Northern Ireland, we are perfectly suited to managing your print requirements across the whole of the UK & Ireland. We have been known to fly roller banners and business cards to Australia. Nothing is too much trouble. Our brand new production hub on Belfast's Lisburn Road, opens this September adding an additional 2000ft production capacity and a retail shop front, which we have never had to the opportunity to focus on previously. Now with seven full time staff, we believe we are big enough to be able to cope with almost any order, but small enough to care about your business and business needs. The better we help you with your marketing, the more likely you are to need our services again in the future.